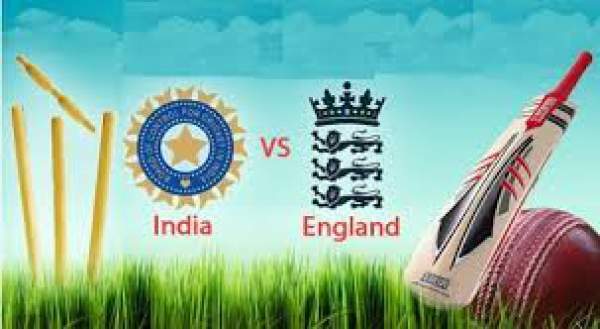 India vs England live streaming (IND vs ENG) 3rd ODI information is here with news. You can watch the England v India (ENG v IND) match online on the official streaming channels and TV. The third game of the three-match One-day series is to take place at Eden Gardens Stadium. India is leading the one-day international series by 2-0 and will be looking forward to whitewashing the same. Get updates and watch India vs England live streaming video for free/with a subscription fee. Other latest information will be available on the go. Catch all the score updates of the game happening in Kolkata today. Below is the complete report on how to watch IND vs ENG live streaming online and telecast on TV channels in various countries. Don’t forget to follow the live cricket score and other recent updates in real-time too. The India vs England match starts at 1:30 pm IST with toss scheduled to take place at 1 pm local time. The team led by Virat Kohli won’t satisfy less than a victory today too. Virat started his limited over captaincy with a boom. He scored a hundred along with Kedar Jadhav and made his team win in the first match. In the second ODI, veteran Yuvraj Singh and former skipper MS Dhoni made a ton each. Moreover, Star Sports 1 and Star Sports 1 HD will provide the real-time action on TV in English. If you wish to watch the same in Hindi, you can switch to Star Sports 4. It all starts at 12:30pm IST. In addition to all the above, the viewers can watch the live stream India vs England on www.skysports.com/watch/sky-sports-2 online. TV audiences can open the Sky Sports 2 channel on their device. The US audience can switch to Willow TV for both watching on the television set and online live streaming. India wins toss and opts to bowl first. England: Jason Roy, Sam Billings, Moeen Ali, Eoin Morgan(c), Jonny Bairstow, Jos Buttler(w), Ben Stokes, Chris Woakes, Liam Plunkett, Jake Ball, David Willey. Come back for cricket live score, live streaming, the man of the match, full scorecard, video highlights, and much more. Stay tuned for latest cricket news and other sports updates around the world.